Glastonbury Burner & Boiler is proud to serve the Marlborough community! 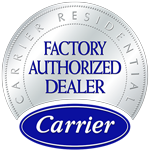 About Marlborough, CT - Happy to be your hometown Heating & Air Conditioning Contractor! Marlborough, Connecticut is a town located in Hartford County. This upper class community is home to about 6,500 people, and it has been ranked among the state’s top small towns by Connecticut Magazine. The historical beginnings of Marlborough can be traced back to 1648, at which time many travelers stopped here when traveling to other parts of New England. Today, the town is a bedroom community and a great place to raise a family. The local school is RHAM High, and it serves students in this community as well as neighboring Andover and Hebron. Although Marlborough is a relatively small town, there are still places to visit here. Specifically, shopping is plentiful at the Shops at Marlborough Barn. The Barn Antiques is filled with an excellent selection of treasures and antique finds. Residents and visitors alike will also be thrilled with the ample restaurant selection in the town, with some of the top dining establishments including Sadler’s Ordinary and the Village Green Pizza Restaurant. Marlborough is located within a humid continental climate, similar to the rest of Connecticut. Residents experience four distinct seasons throughout the year. Central air conditioning is used to stay comfortable during the warm, summer months, as temperatures often reach into the mid-80s. High humidity is also common, leading to even more unpleasant conditions. A cooling system with a high SEER rating is the best option, as it will offer top efficiency with low utility usage. The alternate to the muggy summer season is a snowy, cold winter. The area receives over four feet of total snowfall each year, and in January, temperatures only reach around 36 degrees for daily highs. Lows fall to the teens or the single digits, and there are several days in which temperatures fall below zero. Without the right gas or electric furnace, dangerous conditions may result both inside and outside.